Shish Tzus are lively, sweet and playful, but true to their name, meaning “lion,” they will certainly stand up for themselves! 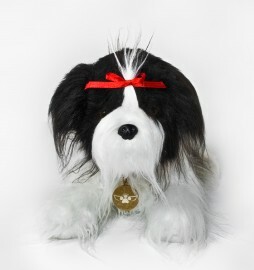 The Shih Tzu Heavenly Pal reflects the breed’s typical fur pattern in black and white. Rated to hold the remains of a dog weighing up to 20 lbs. 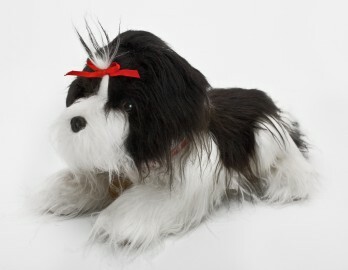 (The average Shih Tzu weighs between 9-16lbs).